Food for Thought founder, Mal Meiers, will be joined by many of Australia's top chefs for three charity dinners in November. Australian chefs are once again rallying with Food for Thought to help break down the stigma around depression and anxiety with a series of charity dinners in Sydney, Melbourne and Brisbane this November. 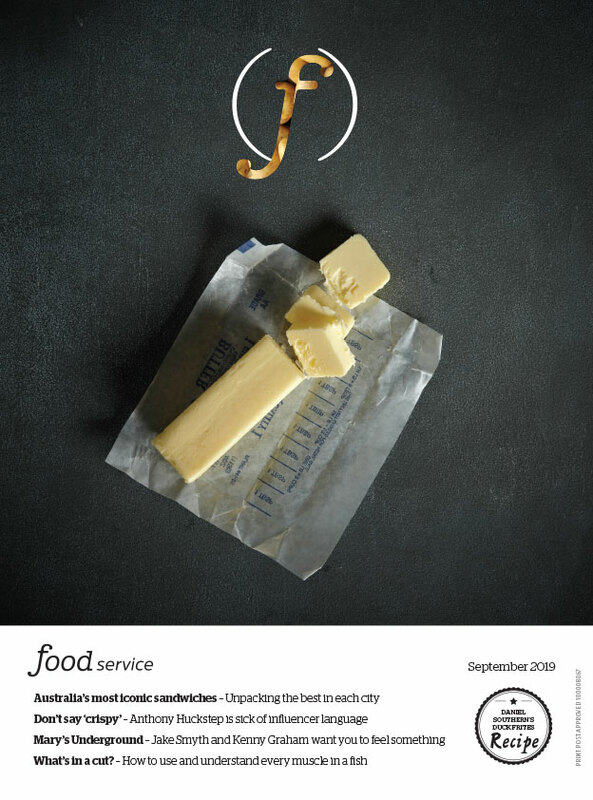 Founded by chef Mal Meiers in 2014, Food for Thought aims to raise awareness and support for both the foodservice industry and the guests in the dining room, and to encourage meaningful conversations. Meiers says, "These dinners were sparked by my own experience, having personally faced this. "My hope is to help broaden the awareness of the support that’s available – to not only my peers, but to the wider community, for all those who suffer in silence." This year's charity dinners will combine the talents and skills of established chefs with emerging hospitality professionals, and see the creation of a mentoring program designed to connect and nurture those in the industry. Brisbane kicks off the series on November 12 with a tasting menu-style event at Billy Kart, West End. Meiers together with Scott Webster (Billy Kart), Will Cowper (OTTO Brisbane), Ben Williamson (Gerard’s Bistro), Shayne Mansfield (Botanica) and Zac Sykes (Celissa/Beirne Lane) will create the six-course feast. Shortly after, the Sydney Food for Thought dinner will take place at The Rooftop, Marrickville, on November 19 where Meiers will launch the new mentoring program with chefs Justin North (Concept Hospitality), Rob Cockerill (Bennelong), Joel Bickford (Aria), Monty Koludrovic (Icebergs Dining Room and Bar), Rob Kabboord (Quay), Hamish Ingham (Banksii) and Jane Strode honouring Jeremy Strode. Suicide prevention charity, R U OK?, will unveil its new, hospitality campaign and training resources, which the 2017 Food for Thought campaign helped fund. The Sydney event will also see Paul Farag (Fish Butchery), Matt Bugeja (Kneading Ruby), Troy Crisante (Firedor), Aaron Teece (Studio Neon), Alex Prichard (Icebergs Dining Room and Bar), Sarah Knights (Automata) and Joshua Gregory (EXP. Restaurant) who will put together an eight-piece canape menu. And finally, Food for Thought will head to Melbourne for a seven-course tasting menu on November 26, put together by Mal Meiers, Jo Barrett (Oakridge), Julian Hills (Restaurant Navi), Peter Gunn (IDES), John Rivera (Lûmé), Ross Magnaye (Rice Paper Sister) and Khanh Nguyen (Sunda). "After 5 years the conversation is just beginning, but we need to work together as an industry if we want make serious change," says Meiers. From 2018, all moneys raised by Food for Thought go to help R U OK? and Lifeline. For further information, please visit the event pages for Brisbane, Sydney and Melbourne.